Please pardon our dust. This site is currently undergoing maintenance. Kenia Rodriguez is a senior majoring in English literature. She will earn her Bachelor of Arts in May 2019 and will be applying to graduate programs this fall. Kenia is a Mellon Student Fellow who hopes to become a professor. Her research interests include Twenty-First Century Children’s and Young Adult literature, relationships between popular culture and children’s and young adult literature, gender studies, and race theory. 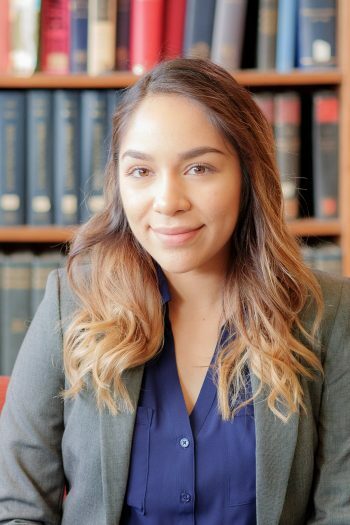 Kenia is currently working on an independent Mellon funded research project that implements a psychobiogrpahical approach to analyze the literary presentation of trauma in Reyna Grande’s memoir The Distance Between Us: Young Readers Edition. When she is not working or writing, Kenia likes to spend her free time reading at the beach. Design inspired by the Grav Antimatter Theme.